Mac Boats is a specialist manufacturer of rotationally-moulded polyethylene vessels, renowned for toughness and maintenance-free boating. The double-skinned, pontoon boats are also particularly buoyant. 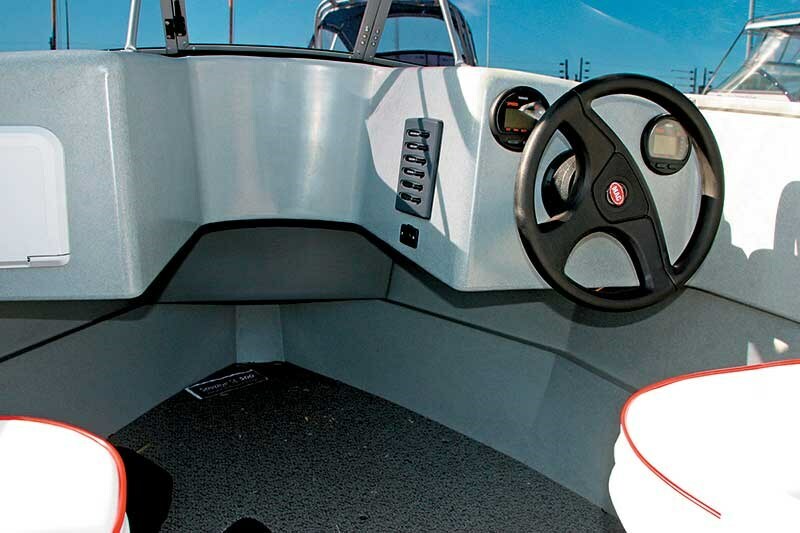 After 20 years  of production, Mac Boats has developed the manufacturing process to a fine art, and the vessels are built to Maritime New Zealand and US Coastguard safety standards. 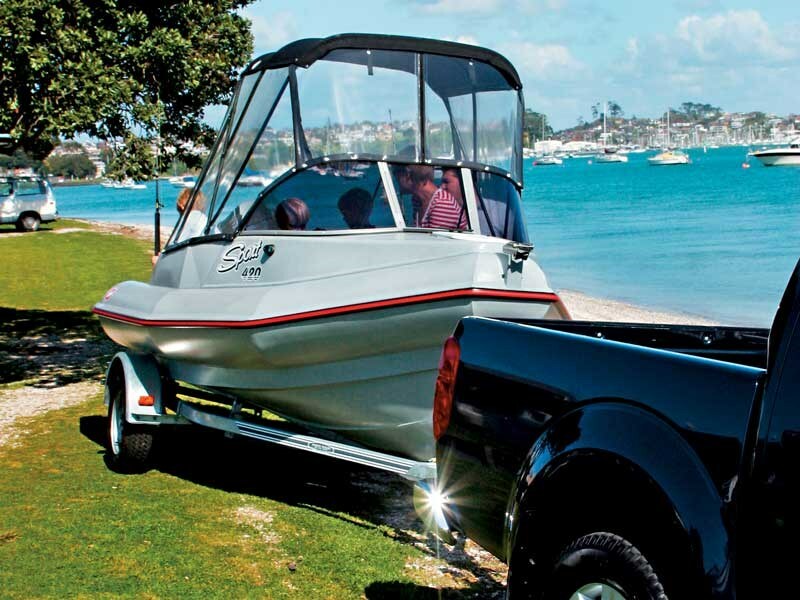 In addition to the thousands of Mac Boats sold in New Zealand, the range is also exported to many countries – both for the recreational and commercial markets. The boats are particularly popular in harsh operating conditions where a tough, low-to-no maintenance boat is required to perform under extreme conditions. Hulls come with a five-year warranty. This makes the boats ideal not only for the leisure boating enthusiast, but also for workboat, resort and hire/rental applications. Their exceptional pontoon stability and ease of exit and re-entry make them a popular choice with safety boat operators, divers and fishermen. The company describes its Mac 420 as safe, tough, virtually unsinkable and indestructible. With plenty of buoyancy in its pontoons and the super-tough polyethylene construction, that’s no boast. Polyethylene offers significant advantages as a material for marine applications. It is "positively buoyant", impervious to osmosis and corrosion, recyclable and provides a hull with unique quiet and soft riding characteristics. Polyethylene has around five times the impact strength of fibreglass. With the UV stabilisers added, it won’t age through weather extremes. In the unlikely event that a polyethylene hull sustains damage, repairs can be made quickly and easily. The Mac 420 package is supplied with a two-stroke, 50hp Yamaha outboard engine and trailer. The hull weighs around 375kg, and with its 11 degree deadrise, is a happy complement to the 50hp Yamaha. Standard features include a fender strip, towing eye, anchor hatch and bin. 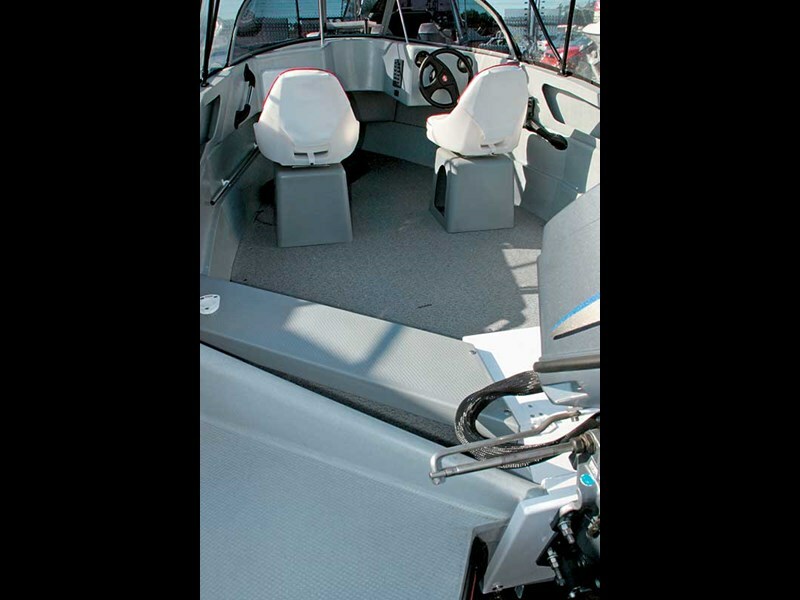 There are also passenger grabrails, two pedestal seats, a carpeted floor and two rod holders and includes a canopy.